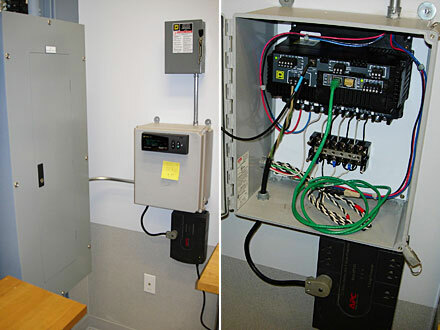 Two Square D circuit monitors (CM 4000) power quality meters monitor the power consumption of the entire training facility and the PLC and VFD labs. The meters monitor transient voltage and harmonics as well as display waveforms. Advanced night school students can choose a 42 hour elective course.